CZ Loko is finalizing production of a Class 753.6 'Bizon' diesel locomotive for Rail Cargo Carrier - Czech Republic s.r.o. The loco, numbered 753 613-9, is part of the EffiLiner 1600 product range. It will be used in the north of the Czech Republicin, mostly in and around Bohumín for line operations and shunting services. 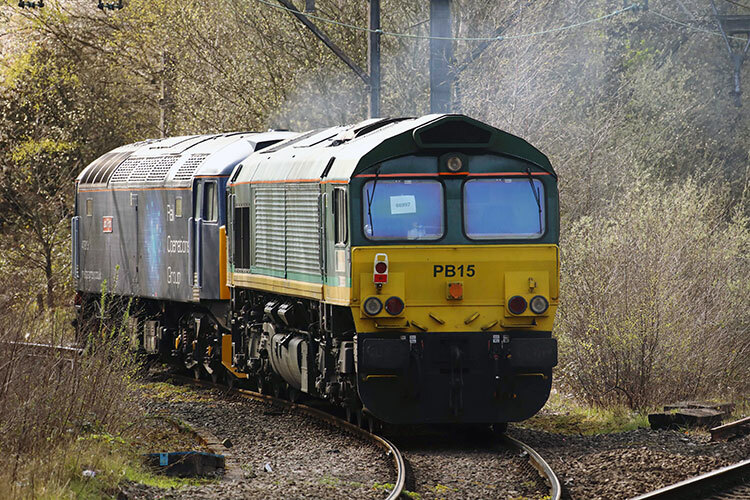 PB15, temporary UK number 66997 (92 80 1266 066-0 D-BRLL) at Guide Bridge on 1 April 2019, on route from Hull Docks to Longport. Picture by Mark Barber. 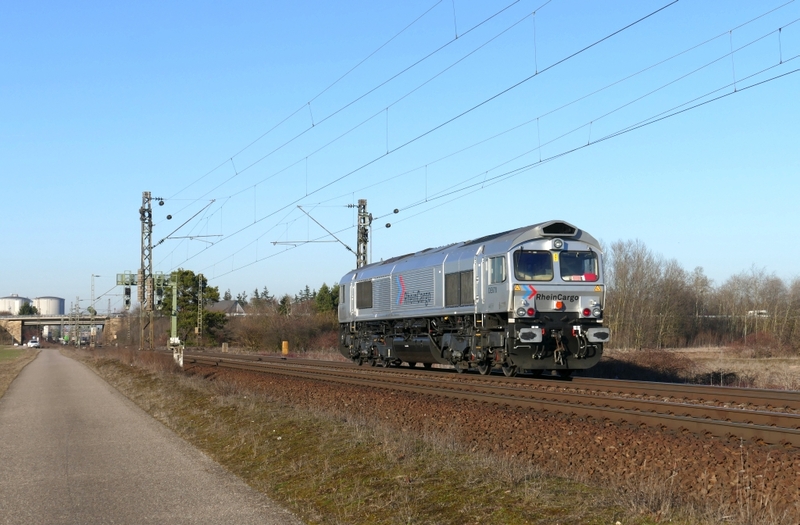 Another Class 66 locomotive has been transported from the European mainland to the UK. The designated PB 15, owned by Beacon Rail Leasing and operated by Crossrail Benelux, will visit EMD's workshop at Longport, Stoke-on-Trent, where it will receive its main overhaul. Transported by Rotterdam Rail Feeding from the EMD workshop at Rotterdam Noord to the P&O terminal at Rotterdam Europoort, the loco set sail for the UK where it arrived on March 31st. It was subsequently transported by rail to its final destination. Loco 66997 (its temporary number in the UK), follows in the footsteps of PB 13 (66998) and PB 07 (66999). Production of the first new PowerHaul locomotive for Korfez Ulastirma is nearing completion at the Tulomsas works. The designated KU-DE 0001 is the first of five of the type, ordered from GE Transporation and Tulomsas in 2018. Korfez Ulastirma is the first private railway operator of Turkey ordering locomotives since the Turkish government has started releasing the use of mainlines for private operators. Korfez Ulastirma is a subsidiary of Turkey's largest refinery: Tüpraş. The operator already hires five PowerHaul locomotives from TCDD, so this order will see the Korfez Ulastirma locomotive fleet double. 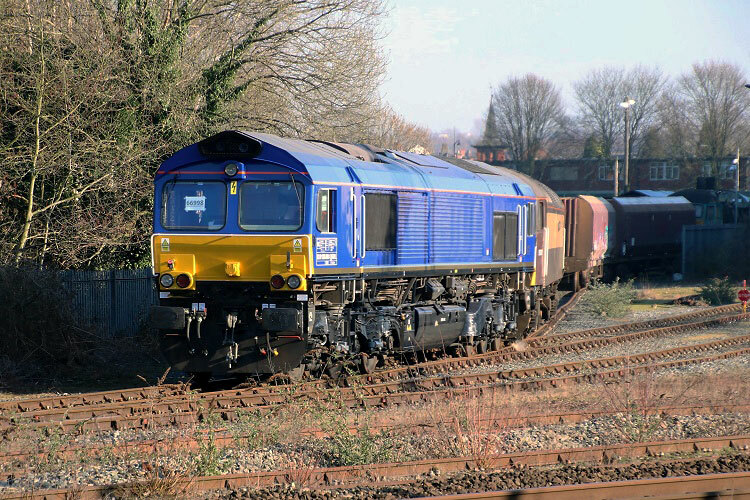 The company also has a fleet of 549 wagons available for its operations. InnoTrans 2018 was another important milestone for the Vectron family. Siemens set the trade fair as the final occassion for customers to order the Vectron DE locomotive. 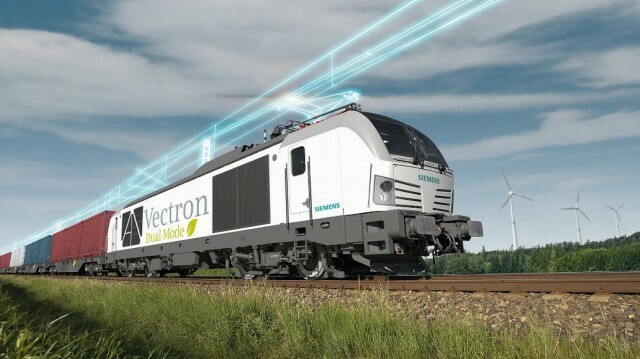 Instead of a full diesel, Siemens now offers the Vectron Dual Mode. In fact, the first two locos are already nearing completion, with loco no.1 being numbered 248 001. The Vectron Dual Mode shares some specs with its full-diesel predecessor. Most importantly, it houses a 2.4 MW diesel engine. However, it is able to run on 15kV overhead power too. The loco's flexibility allows operators to not have to run on diesel power while travelling on electrified lines, while enjoying the benefits of a full-fledged diesel loco. Technical specifications include a maximum speed of 160 km/h and a starting tractive effort of 300 kN, as well dynamic transitions between diesel and overhead power. At this moment, only a 15kV version is offered, aiming at the German and Austrian markets. PZB/LZB is standardly delivered, but the loco is ETCS-ready. Multiple traction is possible with both the full electric and diesel Vectrons, as well as the ER 20. 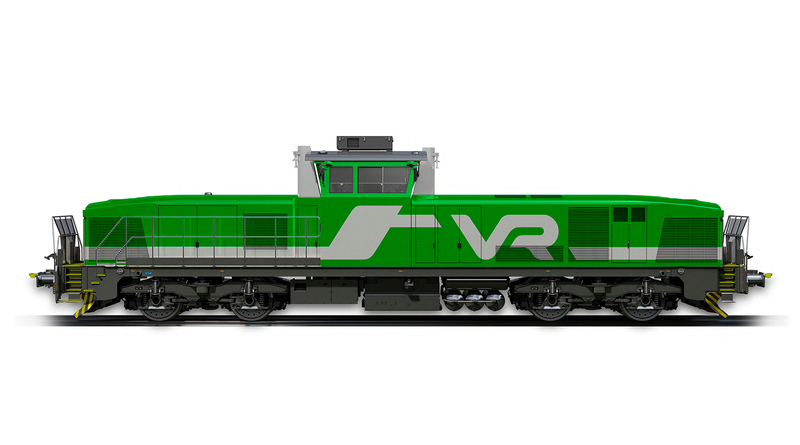 Finland's VR Group has chosen Stadler for the delivery of new diesel locomotives. The operator has ordered 60 dual-engine single-cab diesel locos with an option for another 100 locos. The agreement is to be finalized in April 2019 and includes an option for maintenance support by Stadler. A more environmental friendly, fuel-efficient and reliable fleet will be introduced in 2022 with the delivery of the first locos. In 2025, all 60 locos should have been delivered, replacing diesels from the 1960's, 1970's and 1980's. Beacon Rail PB 13 (temporary no. 66998) in its new livery at Longport, Stoke-on-Trent on 27 February 2019. Picture by David Moreton. The loco departed Belgium in its red-white Crossrail livery. After preparations at EMD's Rotterdam workshop, the loco set sail from the Port of Rotterdam towards to UK. There, the loco received its main overhaul and a full repaint. Instead of its Crossrail livery, the loco now carries a Beacon Rail blue and gold colour scheme. It will make its way to Rotterdam in the coming period, where it will be prepared for use on the European mainland again. Crossrail PB 13 in its former livery with an EVS bulk silo train arriving at Oberhausen, Rangierbahnhof West on 26 November 2015. Picture by Rolf Alberts. 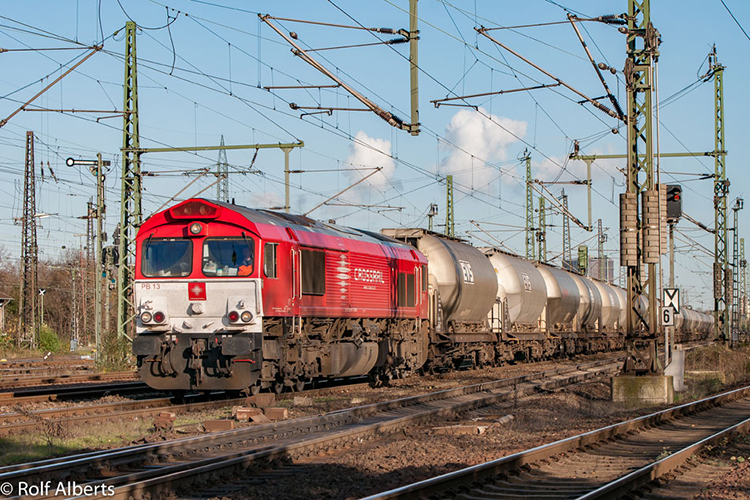 RheinCargo's DE 670 has been reliveried from its former red HGK livery into the silver RheinCargo livery. An image of the loco can be found here: link. Previously, DE 61 and DE 62, both owned by RheinCargo, were already given the silver livery. DE 670, however, is not owned, but leased from Beacon Rail Leasing Ltd.
CZ LOKO has been able to gain another two orders for its EffiShunter 1000 locomotive. With the orders, the Czech manufacturer not only gains more grip on the Italian market, but also gains a foothold in the Slovenian market. 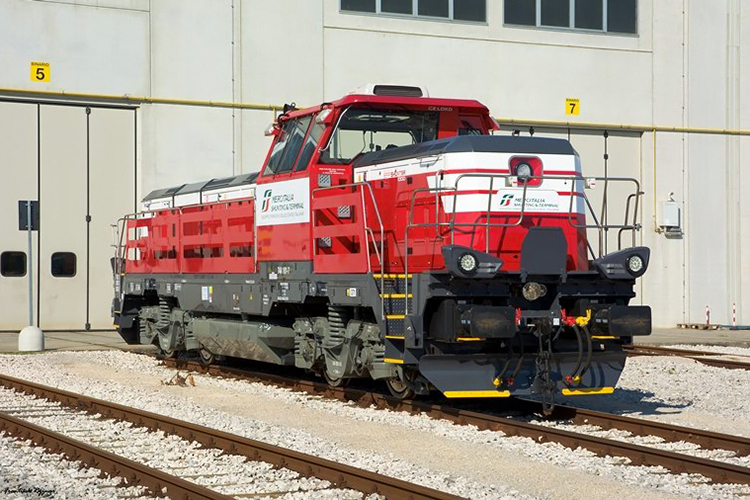 The Italian order comprises the purchase of two EffiShunter 1000 locomotives by TPER, Trasporto Passeggeri Emilia-Romagna S.p.A. In addition to the firm order, options exist for a further four locos. The locos are destined for TPER's subsidiary Dinazzano Po (DP), which already operates four CZ LOKO 741.7 locos. Service area will be mainline services and shunting at the Reggio Emilia and Rubiera terminals. For CZ LOKO, the Slovenian market is a new one. With an order from SŽ - Tovorni promet, the manufacturer will soon deliver four new shunting locomotives for the Port of Koper. This order won after competing in an international tender for new shunters, in which European and US manufacturers took part. It will be the first time, the INDUSI safety system will be installed in the EffiShunter 1000, opening new markets for the product.